Some of the packages found by Customs. 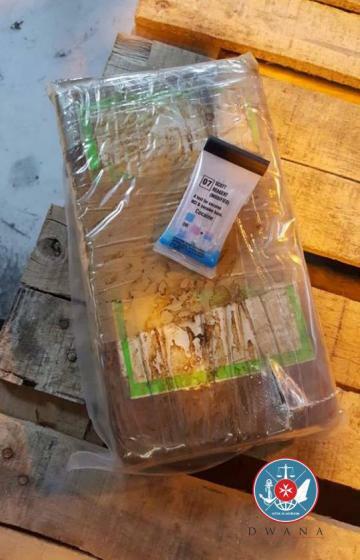 Customs inspectors on Sunday seized 76 packets of cocaine weighing 91.2kg with a street value of €10.3 million. The drugs were hidden in three containers at Malta Freeport. 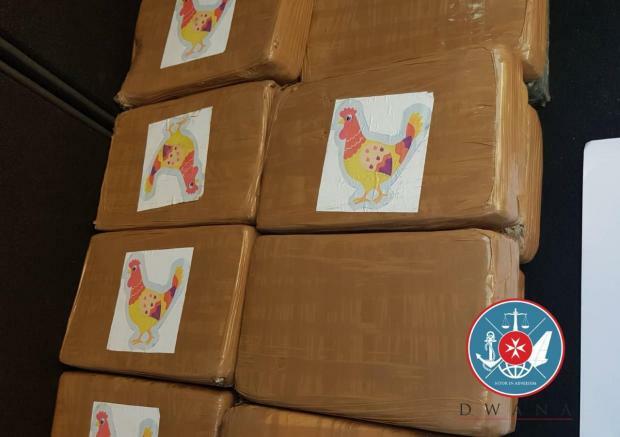 The discovery raised the amount of drugs seized by inspectors so far this year to 606.45kg of cocaine, worth €68.2 million. Sunday's discovery followed that on the previous Tuesday when 24kg were found. The Customs Department explained how, early on Sunday, the Customs Container Monitoring Unit selected several containers for scanning. Following preliminary scans, irregularities in three of the reefer containers were noticed, which, pointed to narcotics hidden in the refrigerant compressor unit. A physical search confirmed the preliminary suspicions. The operation continued until early on Monday. Two of the containers had been shipped to Malta from South America, en-route to Durres, in Albania, while the other container, which also originated from South America, was on its way to Thessaloniki, in Greece. The police are conducting investigations, A magisterial inquiry is under way.